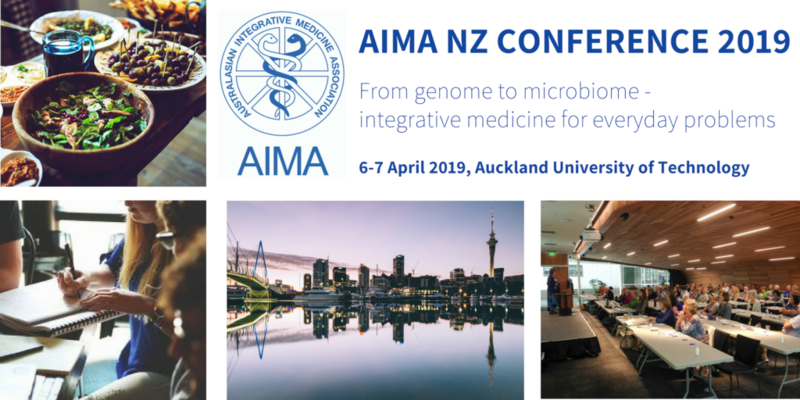 The AIMA NZ Conference 2019 is New Zealand’s preeminent event for the New Zealand integrative medicine community. A ‘must-do’ for all doctors, health practitioners, students and members of the public who want to open their minds to the advantages that integrative medicine can provide to their lives and practices. Hosted at AUT, in Auckland’s vibrant city centre, the conference is a great opportunity to network and socialise with speakers and like-minded practitioners whilst learning about the latest clinical and evidence-based information. Full catering provided as well as lots of goodies from suppliers in the wellness industry. We aim to have everyone leave feeling relaxed and rejuvenated – with a renewed passion for integrative and wellness medicine. Take a look at our speakers here. The AIMA NZ Conference activities have been endorsed by The Royal New Zealand College of General Practitioners (RNZCGP) and have been approved for up to 12 CME credits for the General Practice Educational Programme (GPEP) and Continuing Professional Development (CPD) purposes. This year we added an exciting new addition to the conference. We put on a full day of workshops on the Friday before offering a unique opportunity to work alongside subject experts and a small group of like-minded professionals covering the following compelling and relevant topics. Click HERE for more information. We would like to thank our sponsors, without whom running this event would not be possible.